To fondue or not to fondue..and a lovely Brie sauce. 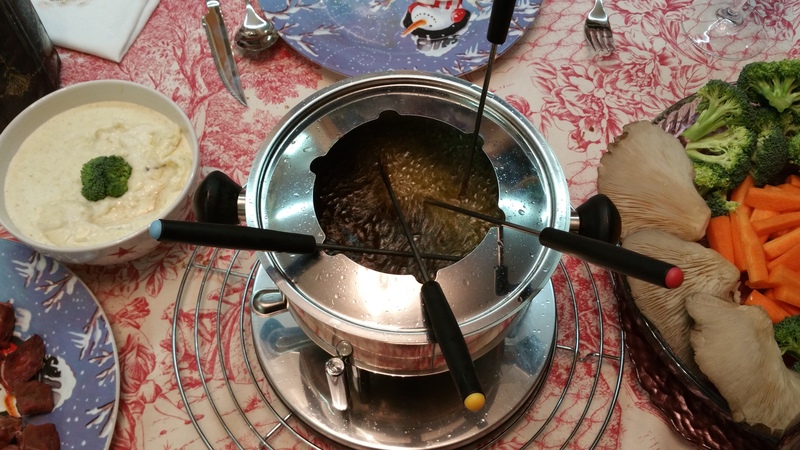 For Christmas, I got my husband a fondue pot. I had to think about what to buy him. I would never buy him underwear or socks because really, he can get that stuff himself. I didn’t know if he would like it but I saw it on sale on Amazon and figured it was worth a shot! I accompanied the gift with a binder full of fondue sauce recipes that I had printed out. He loved it and now about once a month we have a fondue night. 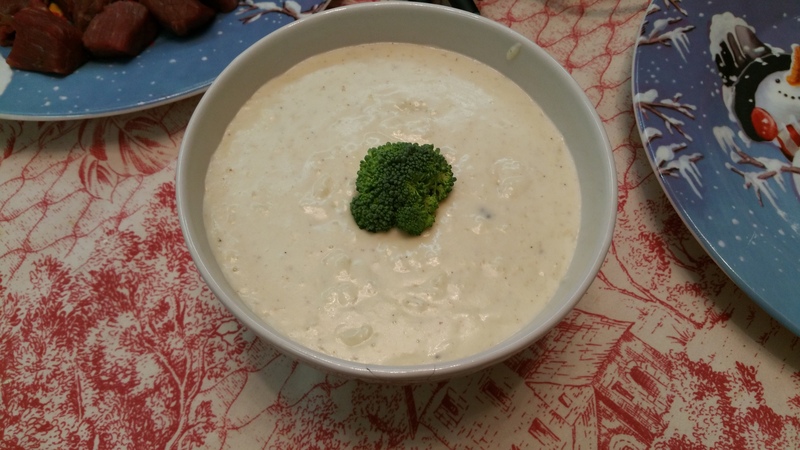 I know that not all of you have a fondue pot but either way, here is a lovely Brie sauce that you can make in a pot on your stove top or in a fondue pot. 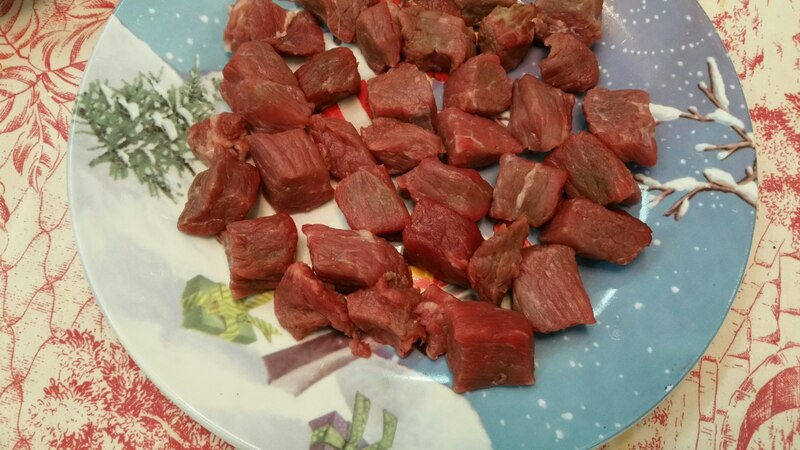 I found it on allrecipes.com and it is delicious with veggies or meat and just have to share it. Rub the garlic all over the inside of your fondue pot, leaving the crushed pieces in the bottom. You can also make fondue in a regular sauce pan and transfer to the fondue pot, but why get two pans all crazy cheesy? Add the white wine and sherry to the pot and heat over medium-low heat.Toss the cheese cubes in cornstarch to coat. 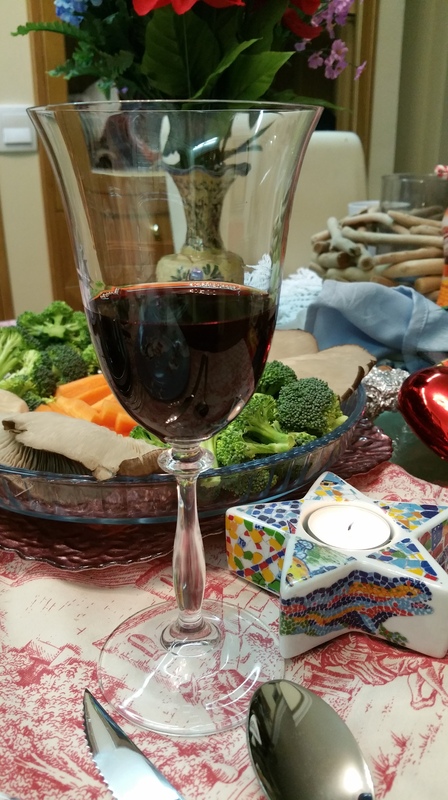 When the wine is hot, add the cheese. Stir slowly with a wooden spoon at first and then use a whisk. Stir constantly to keep it from scorching on the bottom of the pot. When the cheese has melted, remove it from the heat and grate in a little nutmeg. Season with salt and pepper to taste. The fondue should be smooth and coat a wooden spoon. If it seems to runny, add more cheese. If it is too thick, add a splash more wine –sparingly.Prepare your fondue pot base and keep fondue warm over low heat. 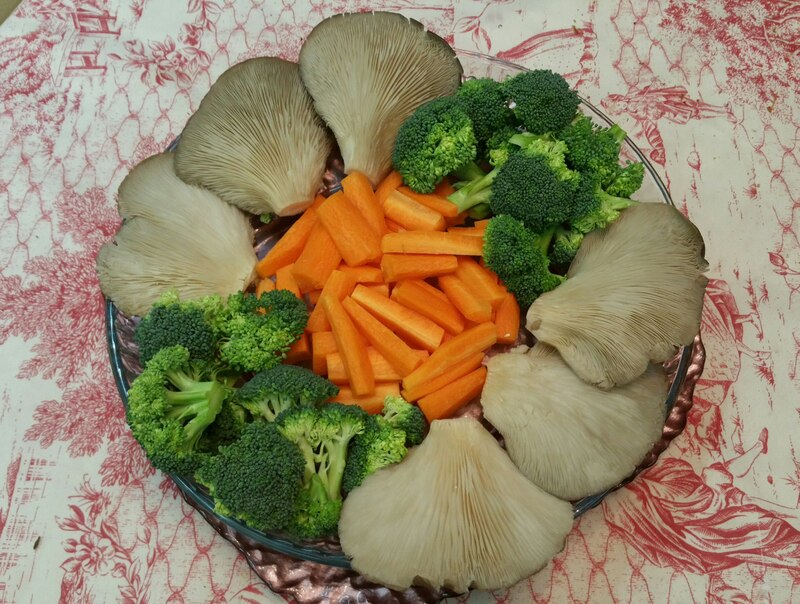 ⭐I used a pot because my fondue pot was full of oil to cook my veggies and meat. The sauce was a bit lumpy but frankly, it didn’t matter much!